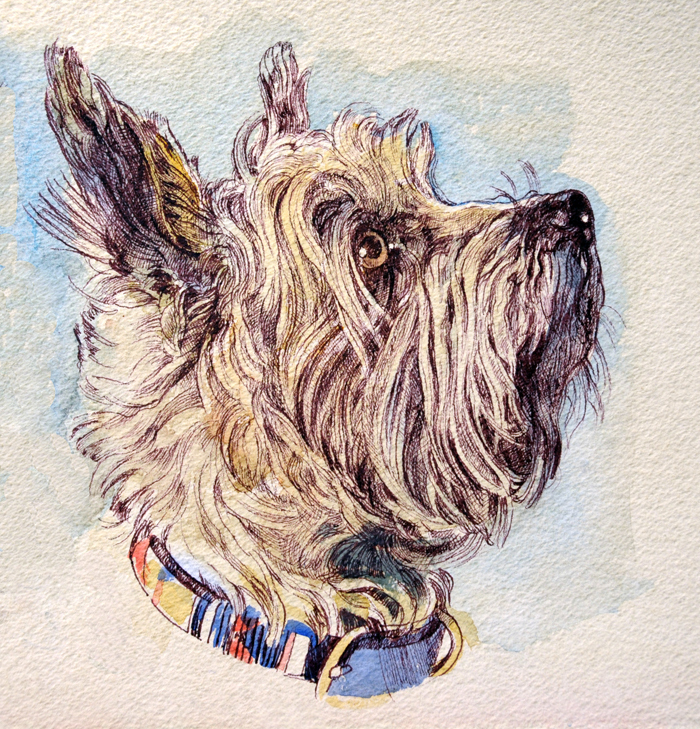 Lovers of The Wizard of Oz's little Toto will always have a soft spot for the Cairn Terrier. This watercolor, pen and ink drawing depicts the curious nature of this dearest of pets. I am honored that this artwork won two prizes at the 28th Annual Art Show at the Dog Show, held from March 1 to April 7, 2014 in Wichita, Kansas. Please see my News update to see the other drawings of mine exhibited at the show.